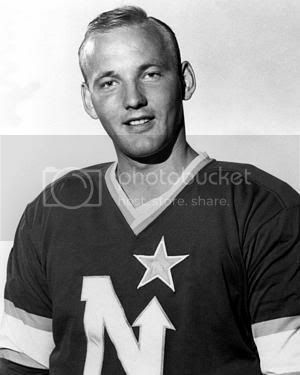 William "Bill" Goldsworthy (August 24, 1944 in Waterloo, Ontario, Canada - May 29, 1996) was a NHL ice hockey player. Goldsworthy's NHL career began with the Bruins in 1964 where he had trouble cracking the line-up. 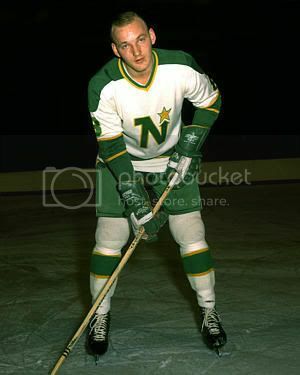 Goldsworthy was quoted to be "excited at being traded to the then expansion Minnesota North Stars" whom he played with from their inaugural season of 1967 until 1977 where he electrified the Met Center crowds and made his name known through goal-scoring and the invention of the "Goldy Shuffle" which became the Goldsworthy trademark post-goal celebration name. Bill ended his career with the New York Rangers in 1978. He played in 4 NHL All Star Games (1970, 1972, 1974, 1976). Goldsworthy was a part of Team Canada in the 1972 Summit Series that beat the Russians. 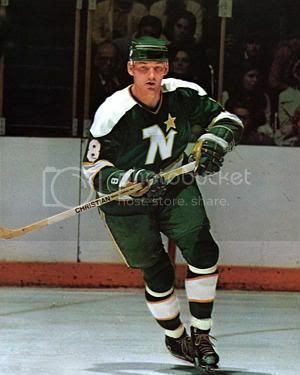 Goldsworthy played 771 career NHL games, scoring 283 goals (267 with the North Stars) and 258 assists for 541 points. 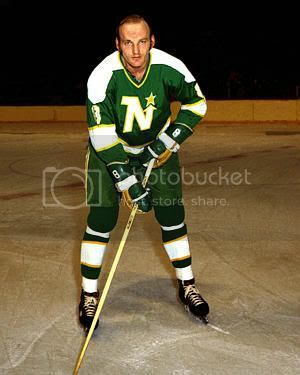 His best offensive season was the 1973-74 season with the Minnesota North Stars (where Goldsworthy spent most of his career playing for) when he set his career high in points with 74, and goals with 48, that was a team record for 8 seasons until Dino Ciccarelli broke Goldy's mark. Goldsworthy was the first NHL player from an expansion team to top 250 goals. 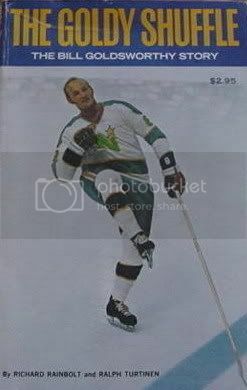 His #8 jersey was retired by the North Stars on Feb. 15, 1992, just over a year before the team moved to Dallas. Today his #8 hangs in the rafters at Reunion Arena in Dallas besides Neal Broten retired #7 and Bill Masterton #19. Goldsworthy died in 1996 from complications with AIDS at the age of 51 that in an interview with the Pioneer Press in February of 1995 Goldsworthy was noted as saying: "I was diagnosed with AIDS in November 1994 that stemmed from drinking and promiscuity." "There's a stigma that comes with AIDS that makes you think it's something that only happens in the homosexual community and to drug abusers who use dirty needles," Goldsworthy said. "It's more than that."